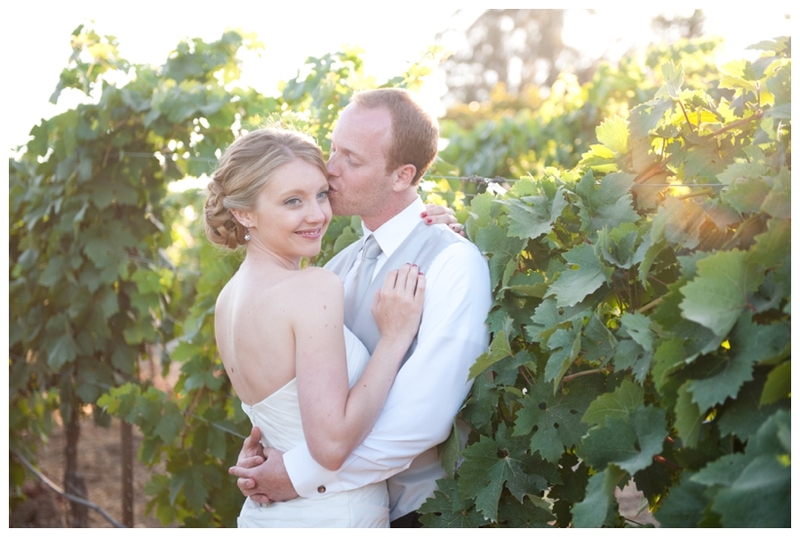 Mandy and Ben's wedding was a dream! 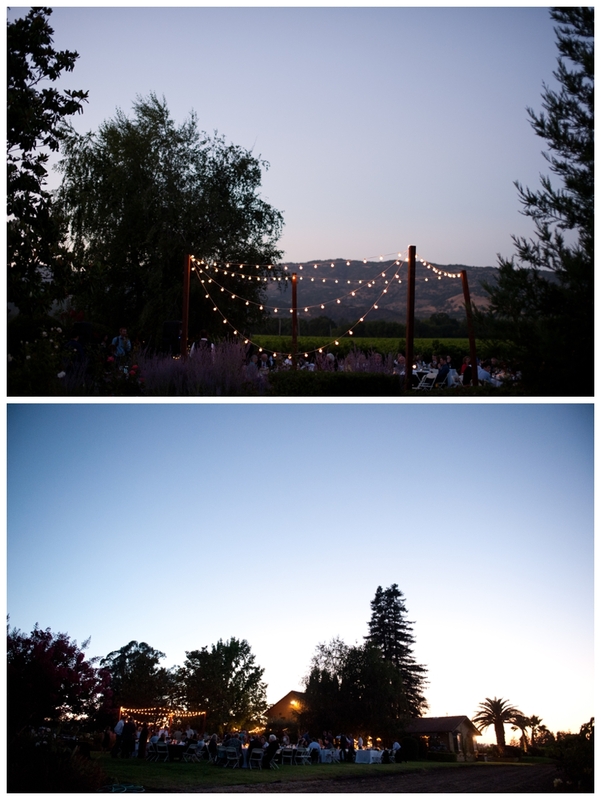 I got married in wine country in the Central Coast of California and I have a dear place in my heart for winery weddings. 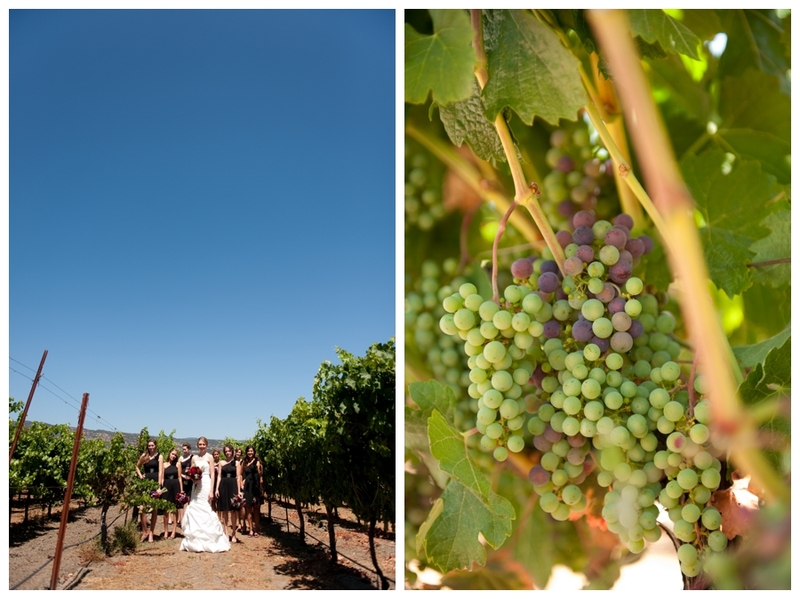 There's something so magical about beginning a marriage in a place where fruit grows with great care and attention, is picked at the peak of the season, blended and used to create beautiful wines. 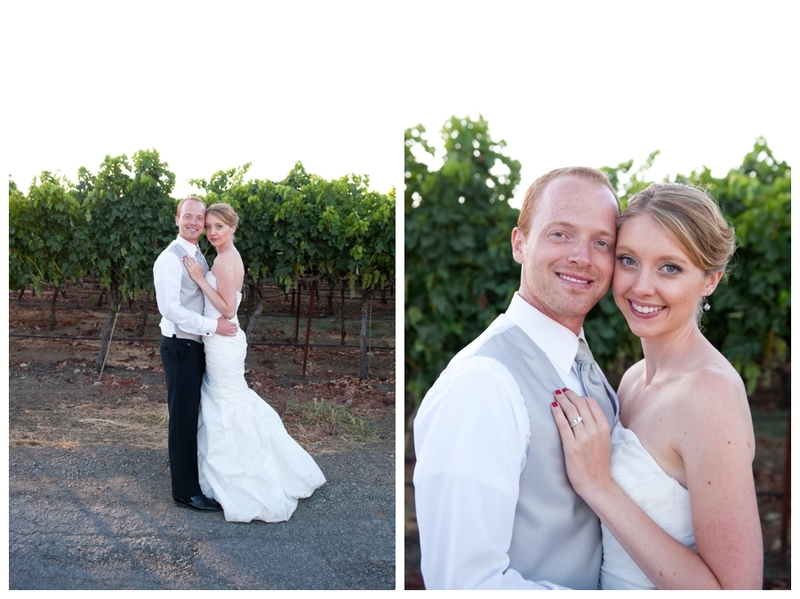 Marriages are so much like fine wine, at the beginning it's fresh and exciting and as time goes on it just gets better and better. 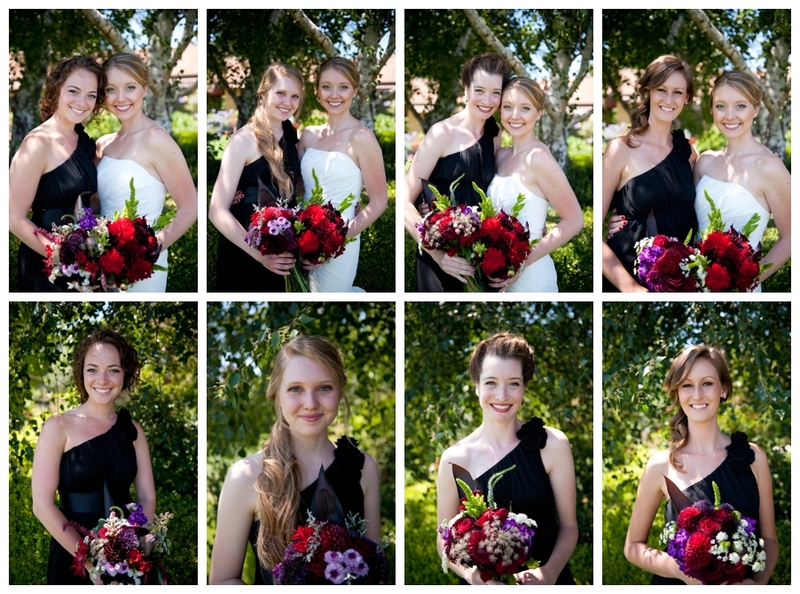 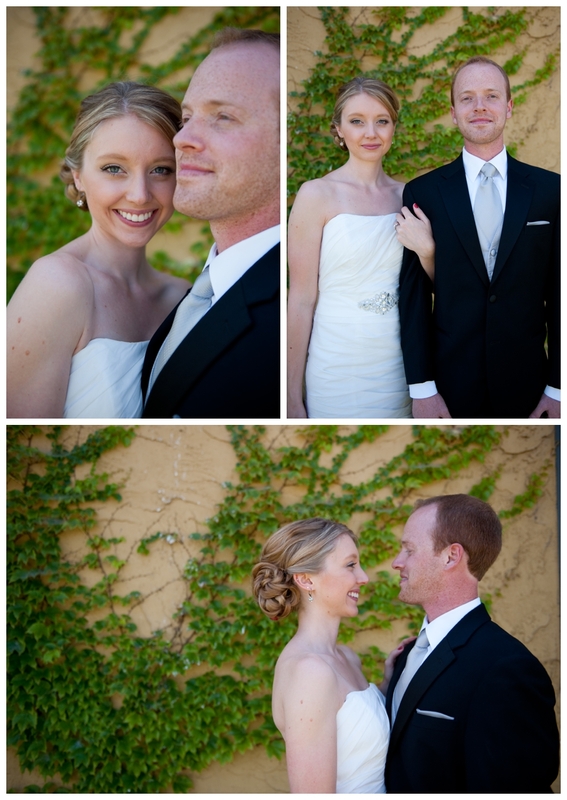 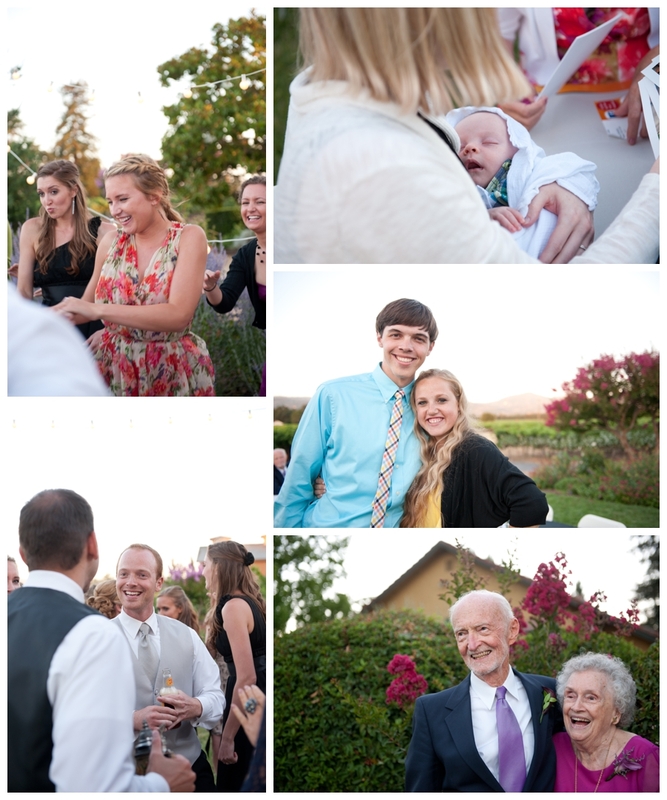 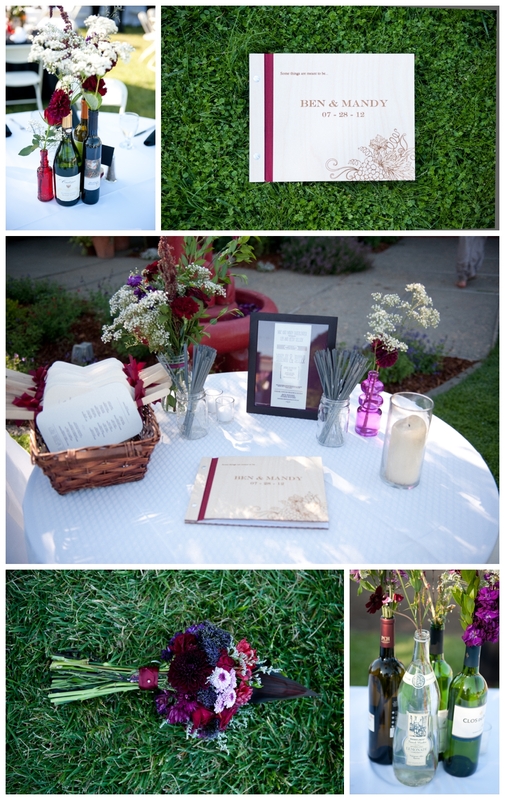 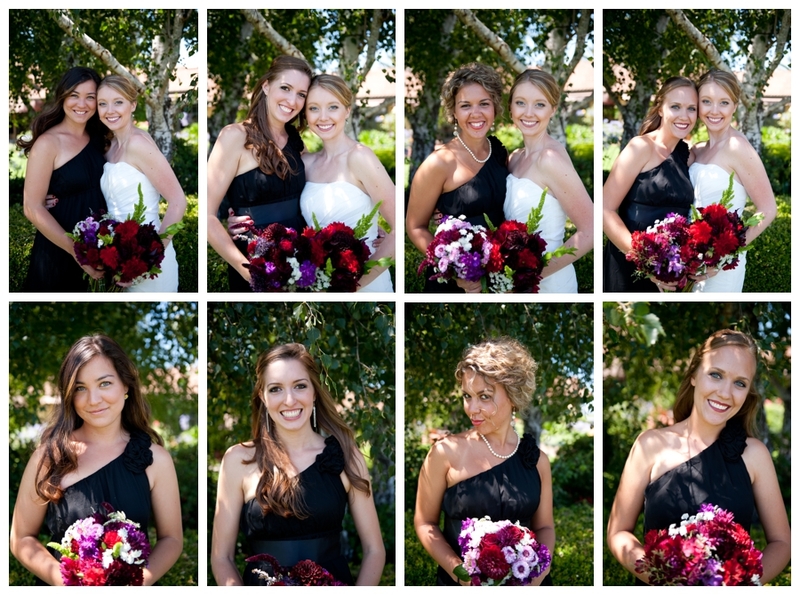 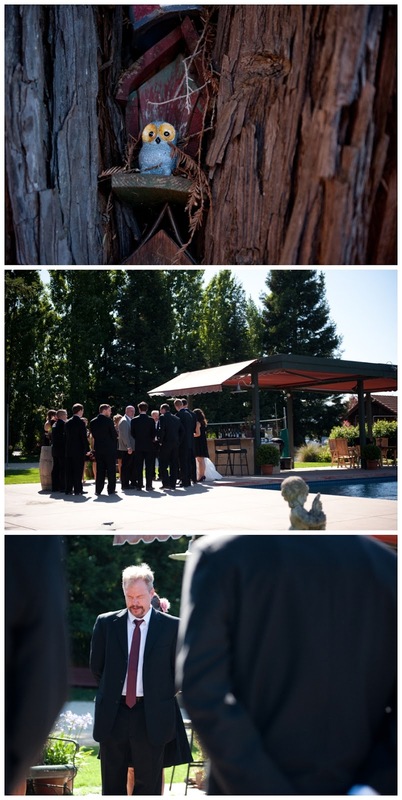 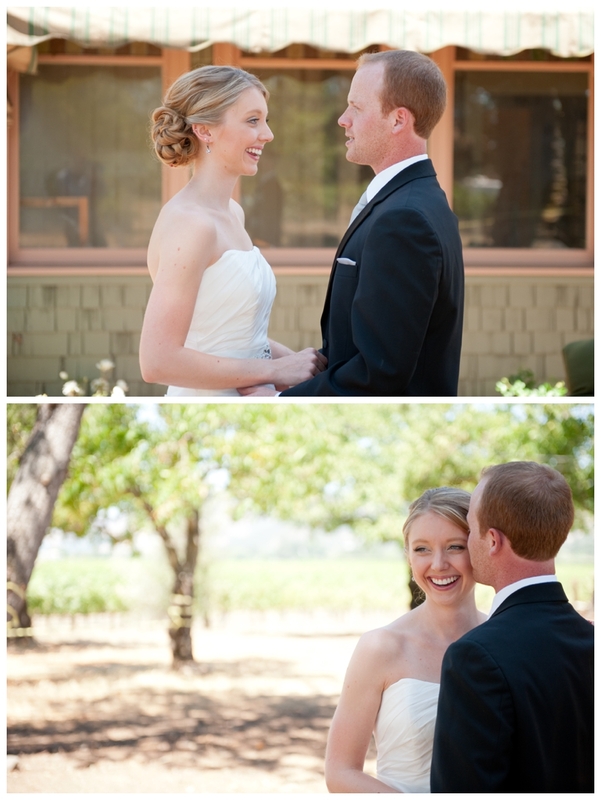 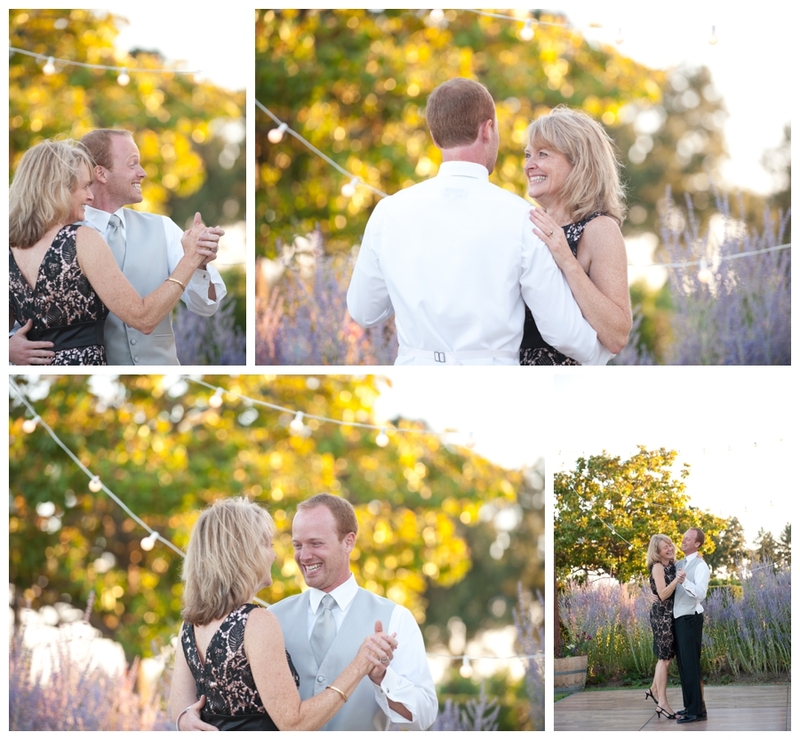 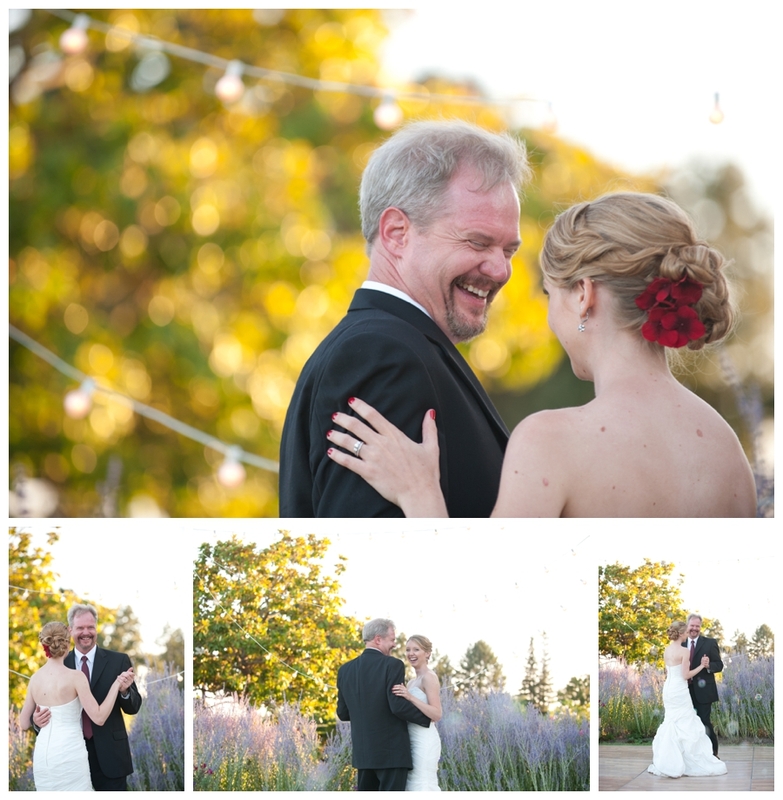 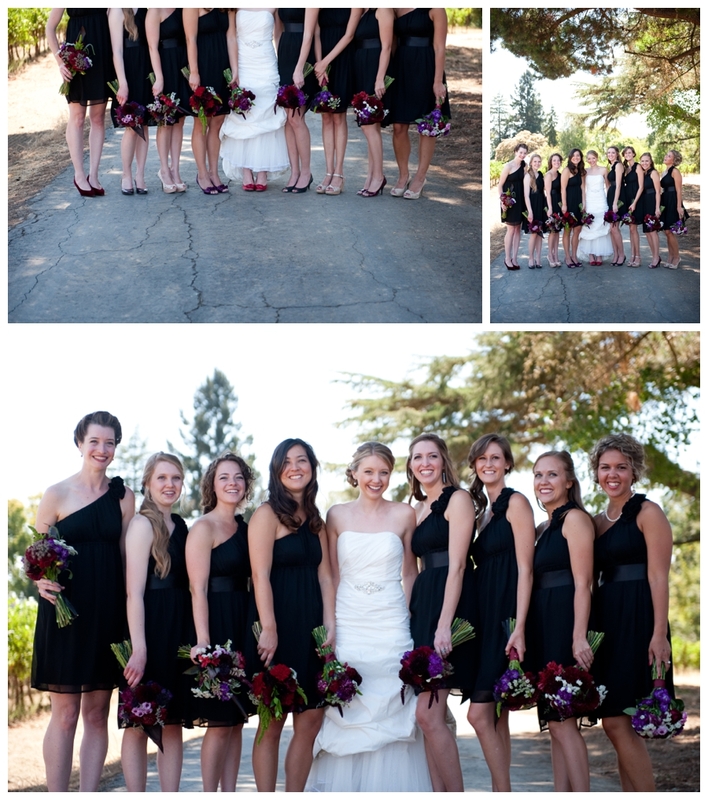 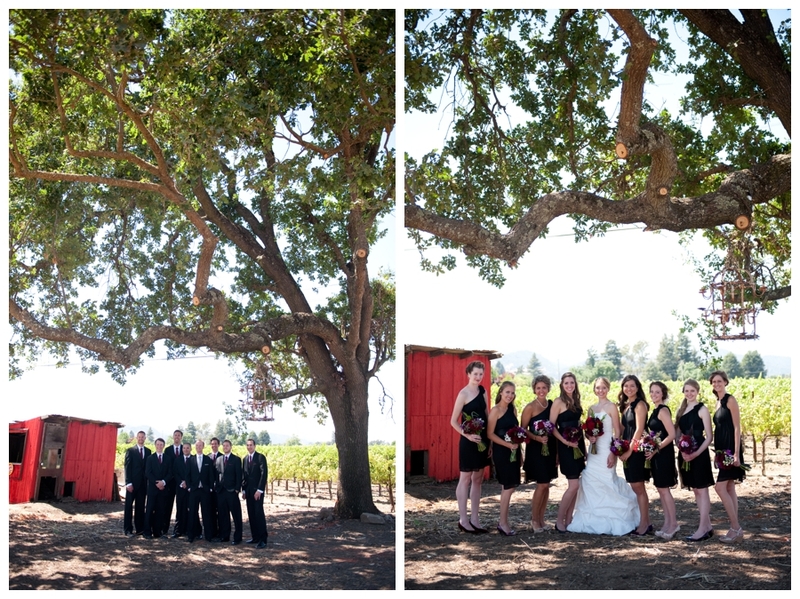 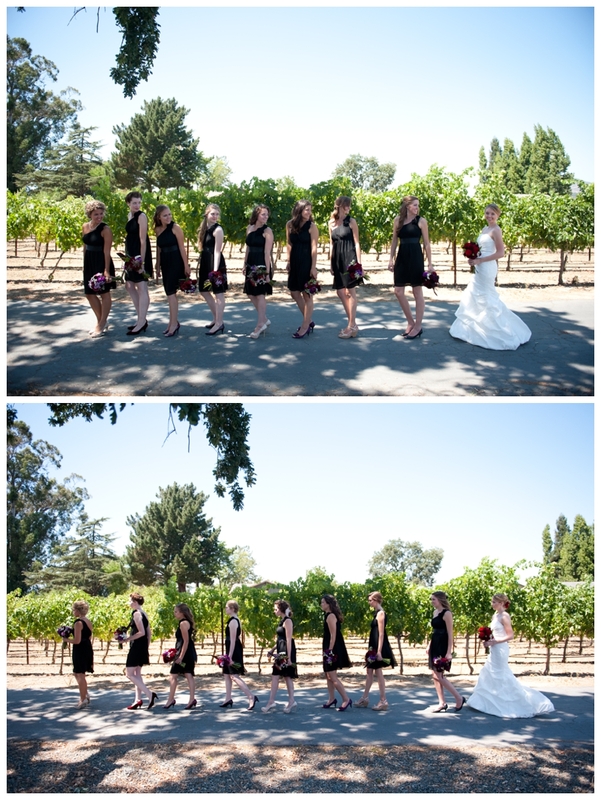 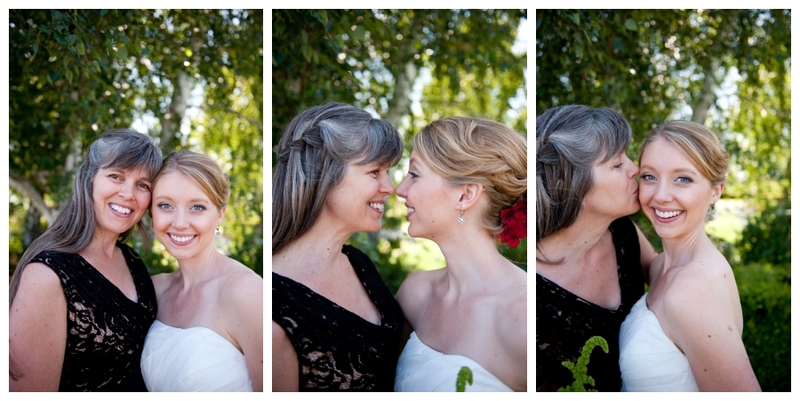 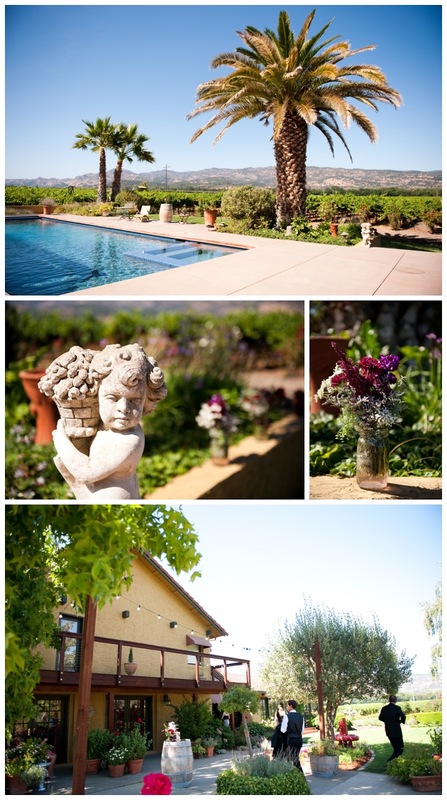 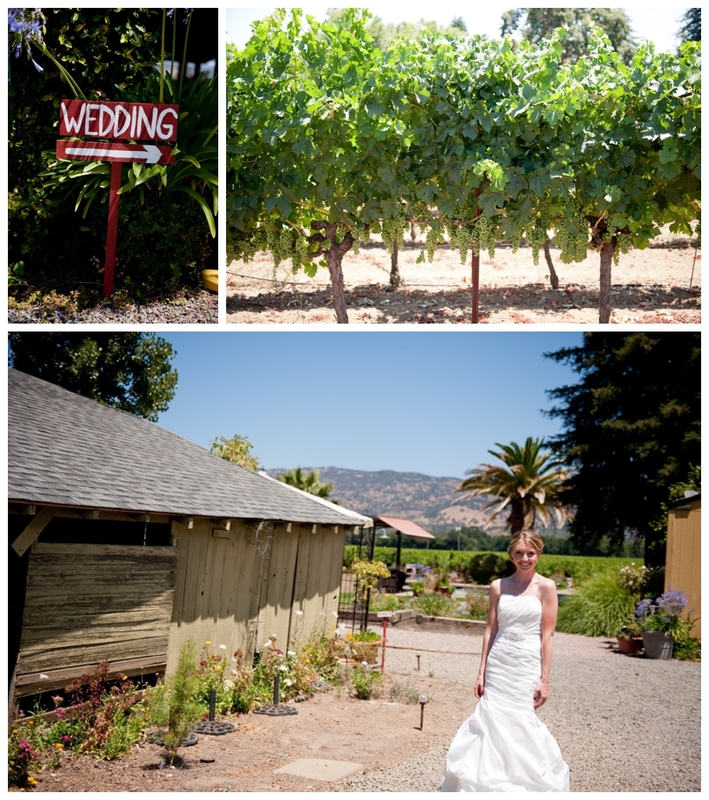 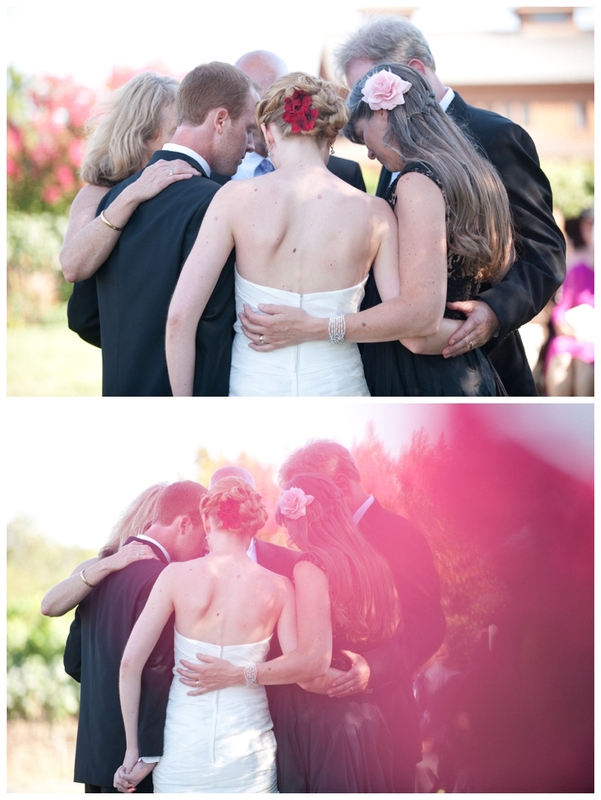 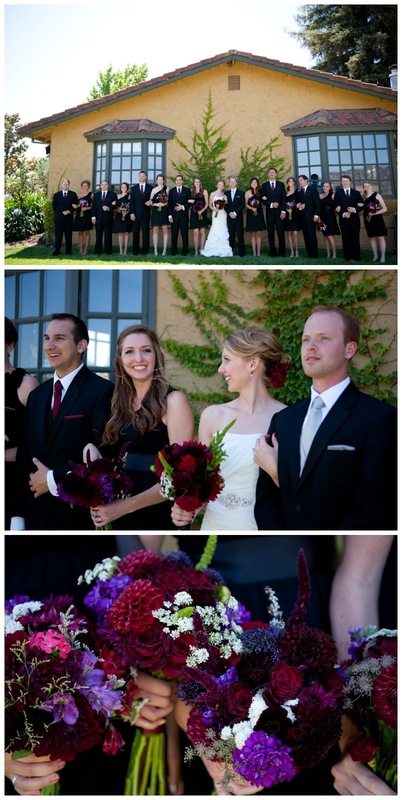 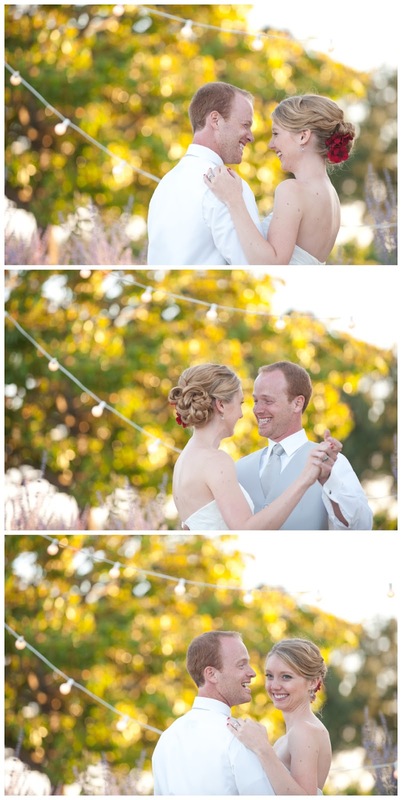 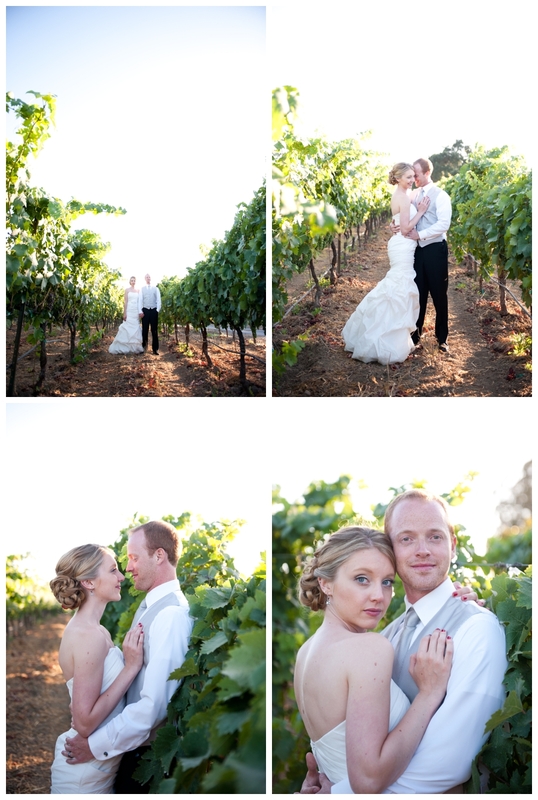 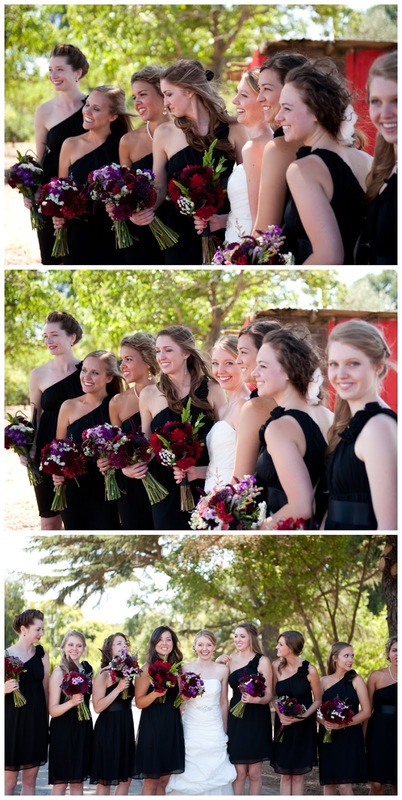 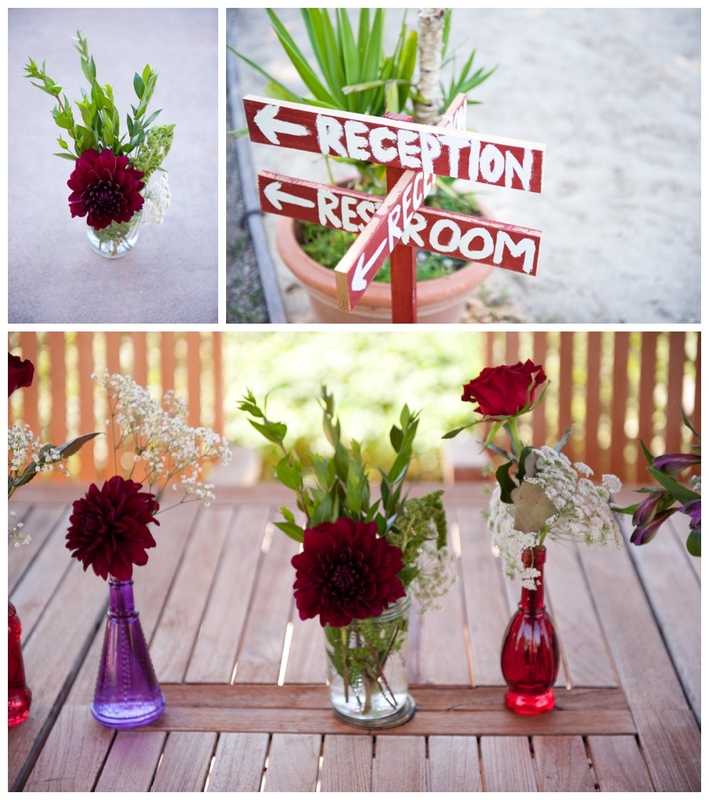 So photographing a wedding at Meg's Vineyard in Napa Valley really resonated with me. 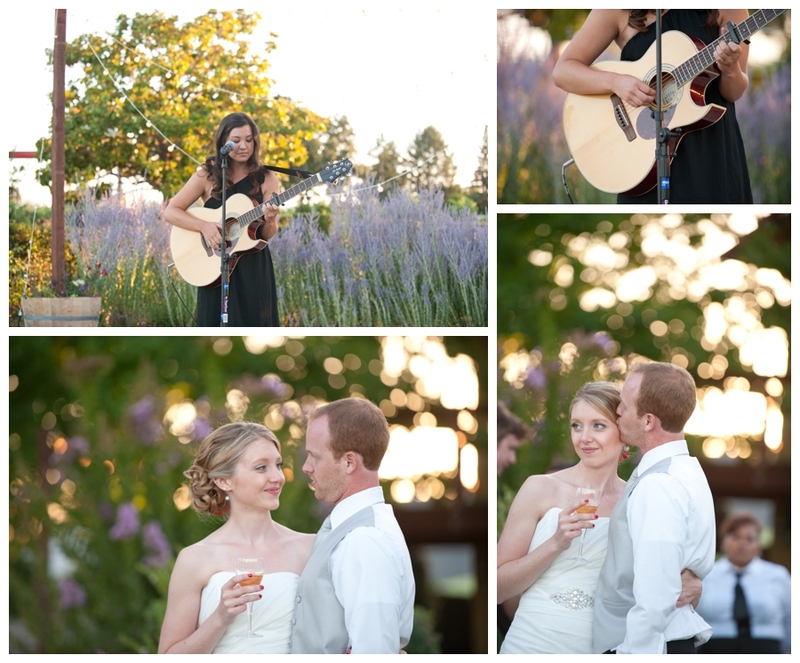 I don't think Mandy and Ben could have found a more beautiful and intimate setting to begin their marriage. 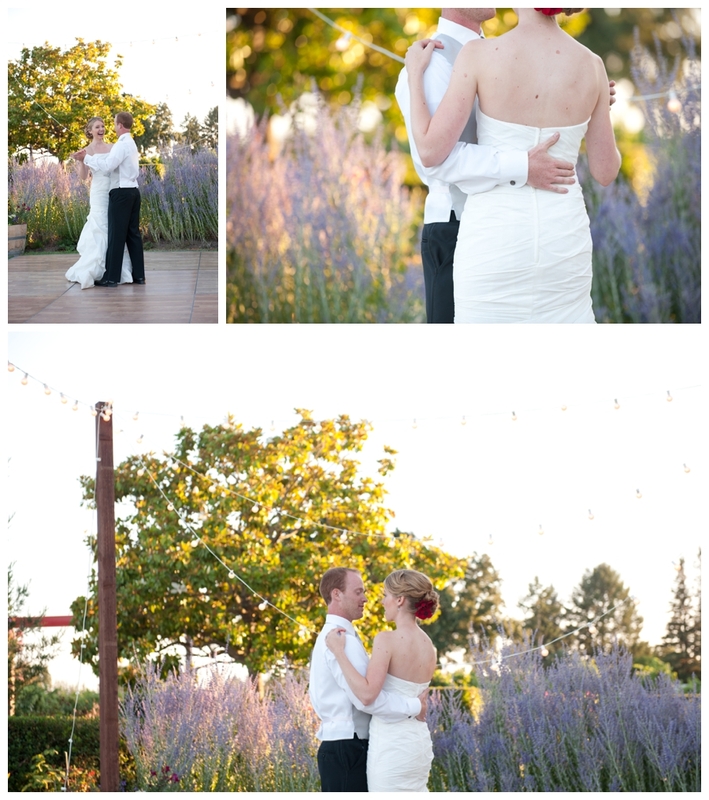 Mandy and Ben wanted to do a "first look" which is always very special and personal. 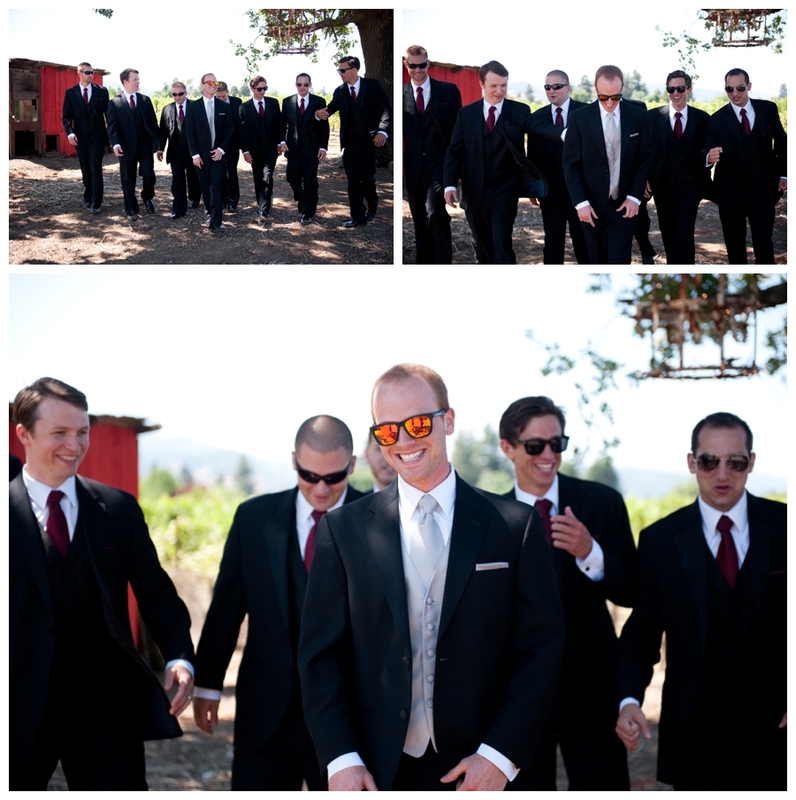 Doing a first look allows for time to stand still a little longer than usual and for your photographer to document candid moments without rushing to get everyone to the reception. 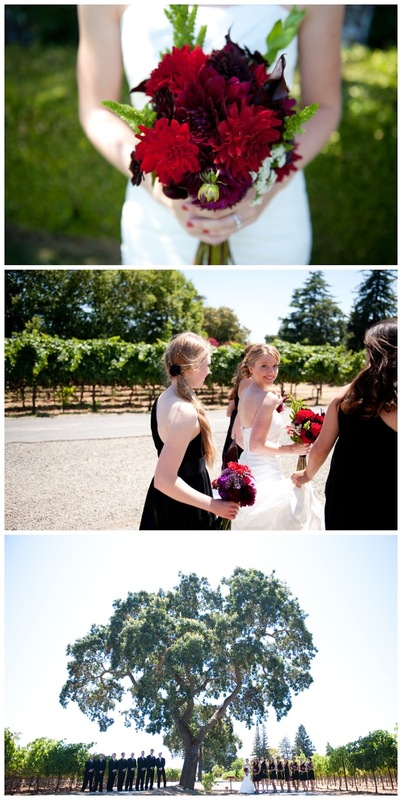 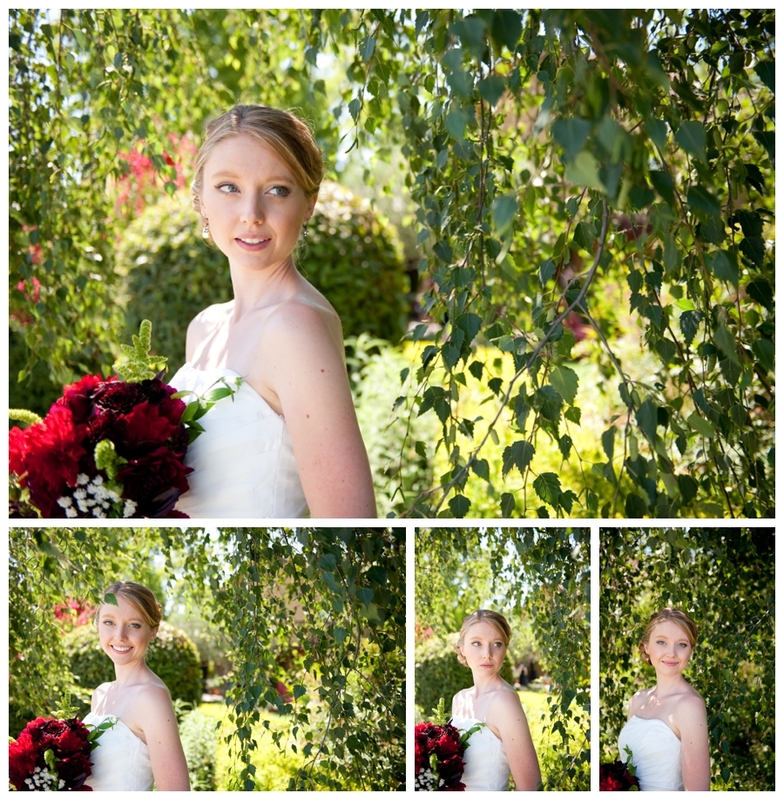 We walked around Meg's Vineyard grounds and took our time with their bridal portraits. 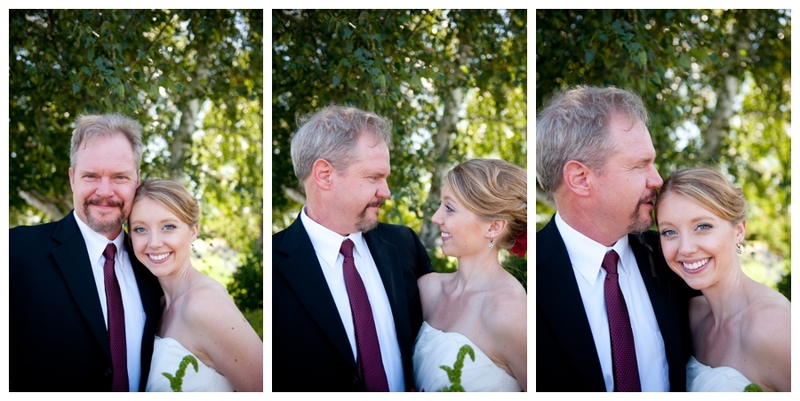 Having adequate time for photos allows me to keep my couples relaxed and happy which is one of my biggest goals. 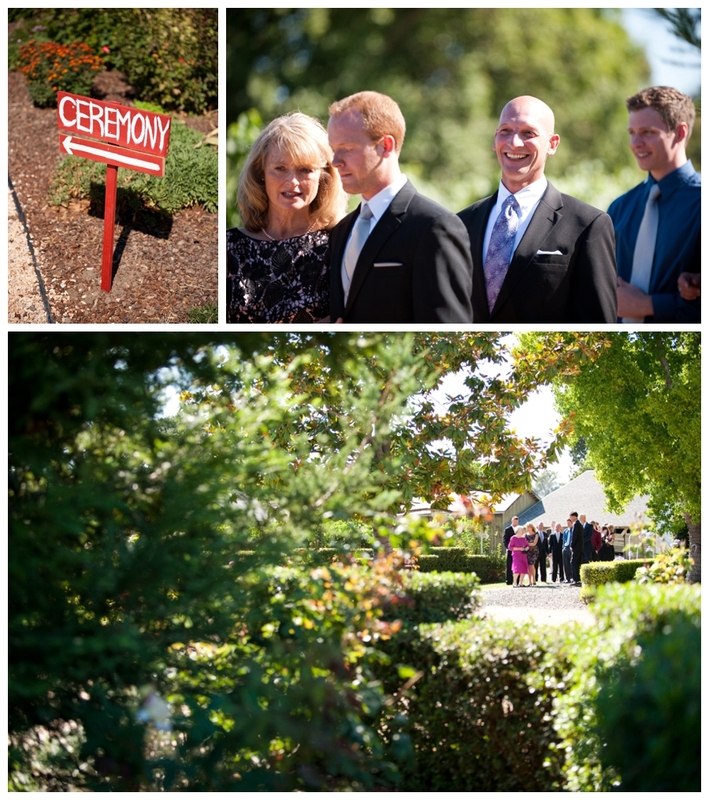 Mandy and Ben's family and friends met us to do their formal photos before the wedding began, so everyone was fresh and photo ready before growing tired of the warm summer weather. 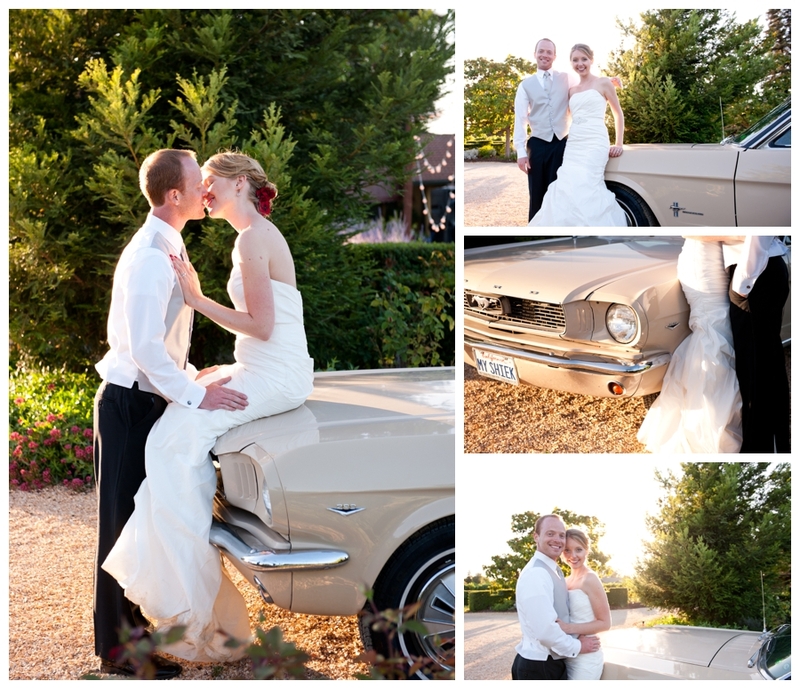 One of my favorite memories of Mandy and Ben's wedding was Many's entrance to the ceremony in a vintage mustang that her father drove. 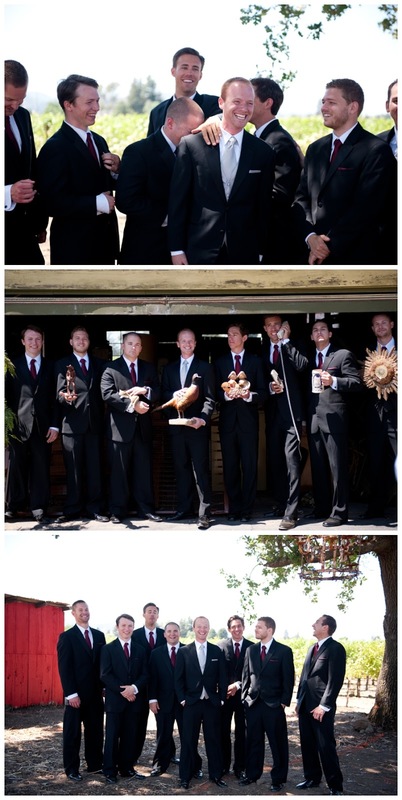 This was a surprise to their friends and family and everyone cheered and got very excited. 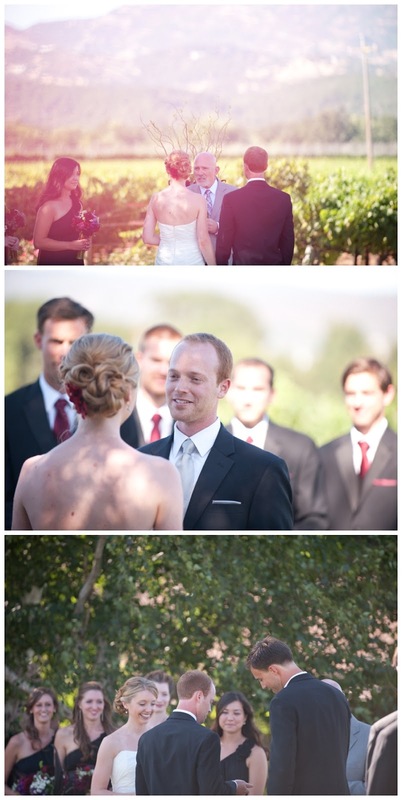 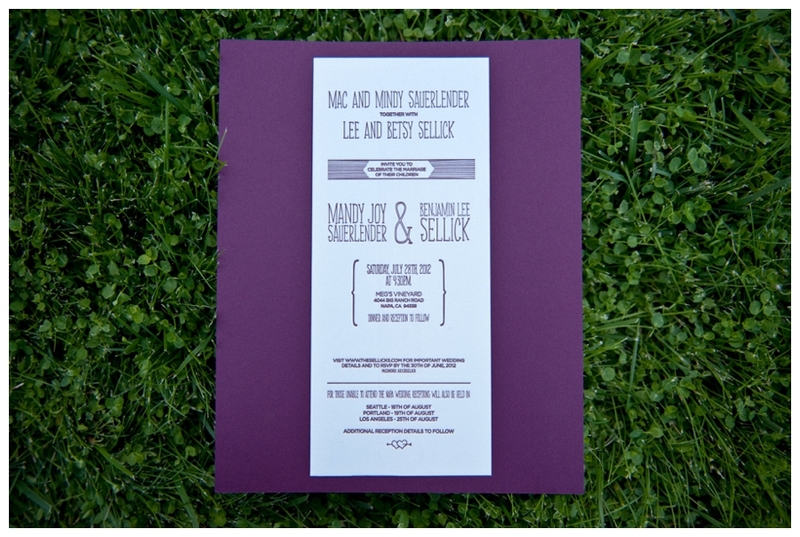 Their ceremony was so sweet and fun too, just like Mandy and Ben! 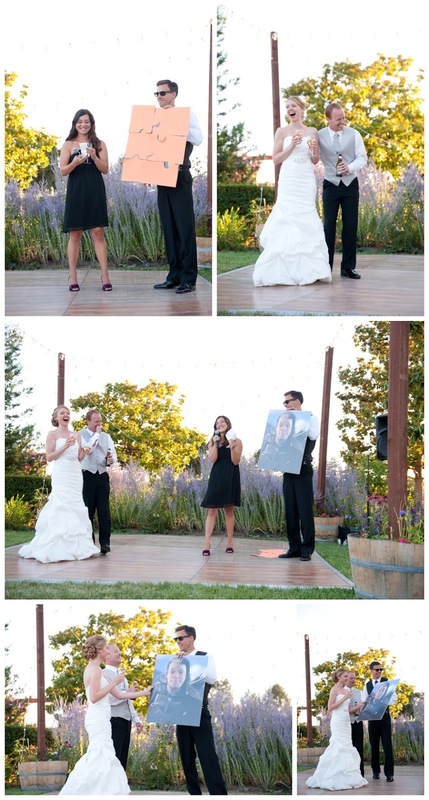 They have a fun inside joke with their friends where they sneak a framed photo of Clint Eastwood into each other's homes and parties... and yes this hilarious framed photo made an appearance in their ceremony. 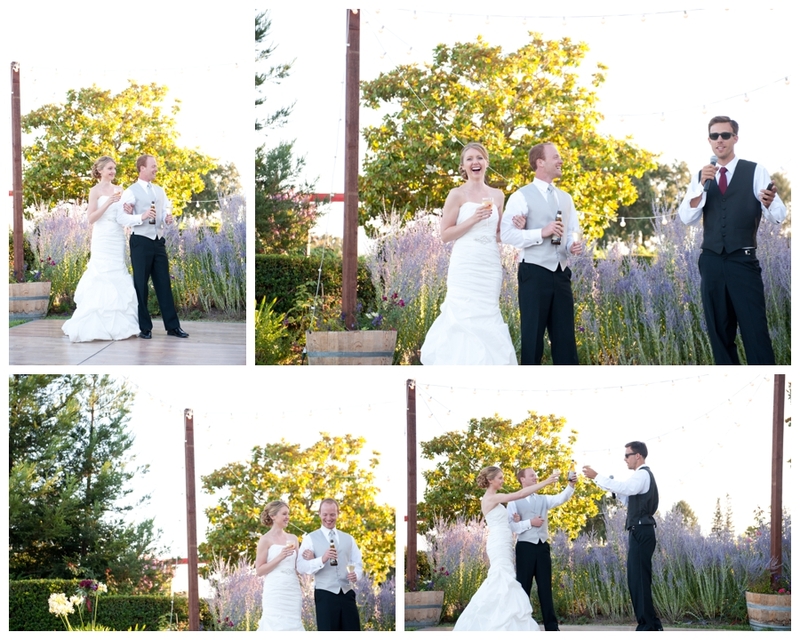 Mandy and Ben were completely surprised and shared the greatest laugh together. 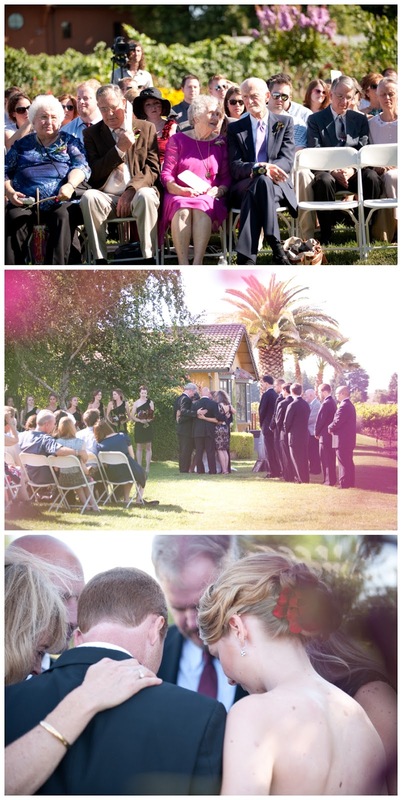 This was a great way to highlighted a very important element of Mandy and Ben's relationship, their love of laughing together. 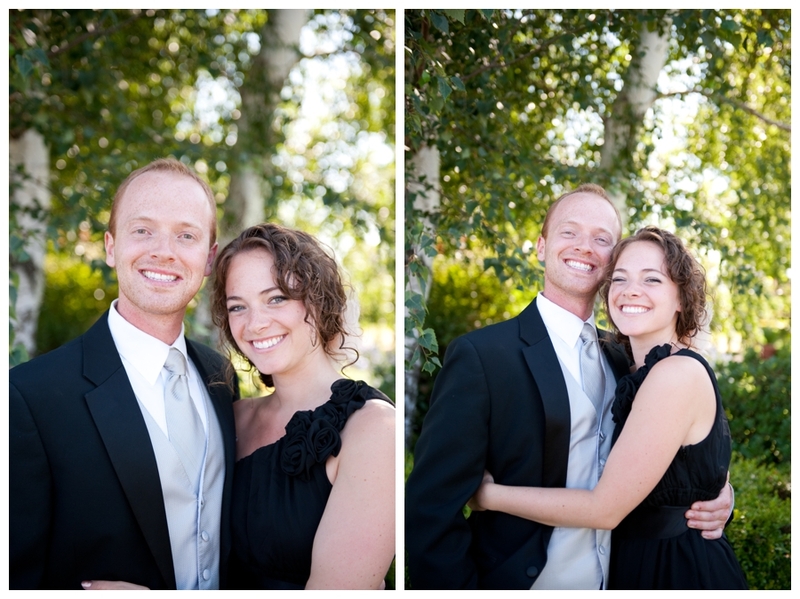 It was an honor to photograph Mandy and Ben's wedding. 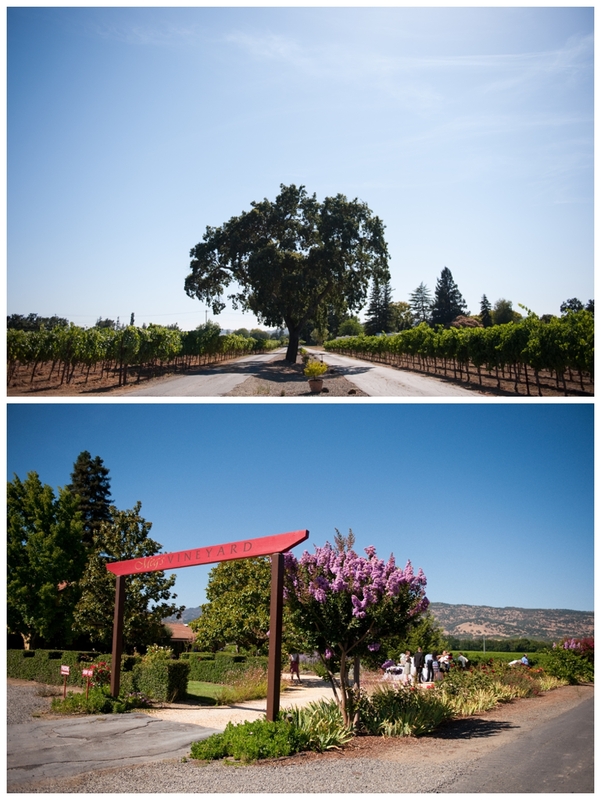 I was smiling the whole day and I loved traveling to Napa too!